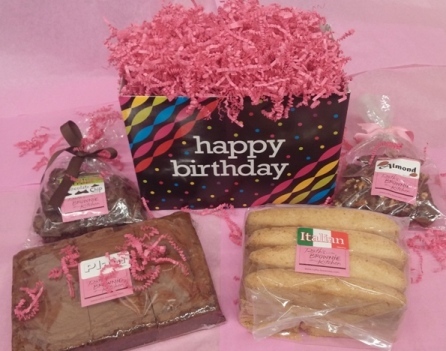 Ruth's Gourmet Brownies, Cookies and Biscotti are the perfect treats and make a great Birthday gift for those friends and relative across the country ORDER TODAY and we will bake and ship your order on the exact date you specify! For quantities larger than 1 dozen or for multiple orders of the same item going to different recipients, REPEAT ordering until you achieve the quantity desired. You'll be able to designate different recipients for each item ordered at checkout. 3-1/2 dozen each of our fudgy brownies. 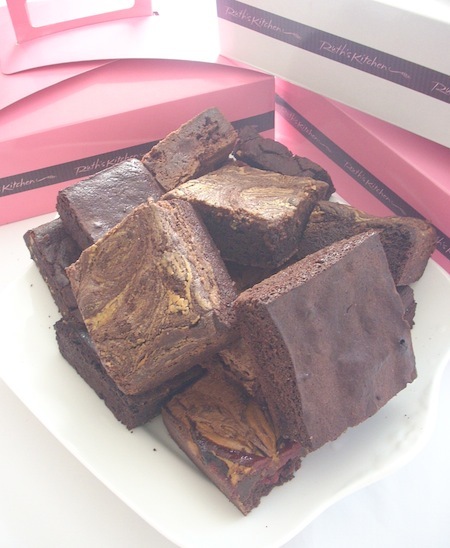 Ruth's Chocolate Chunk Fudgy Brownies also Toffee Crunch Fudgy and Ruths Classic Fudgy Brownies in our Birthday Box! 3-1/2 dozen each of our nutty brownies. Ruth's Walnut Cake Style Brownies also Ruths Hazelnut Fudgy Brownies and Ruths Walnut Cake Style Brownies in our Birthday Box! 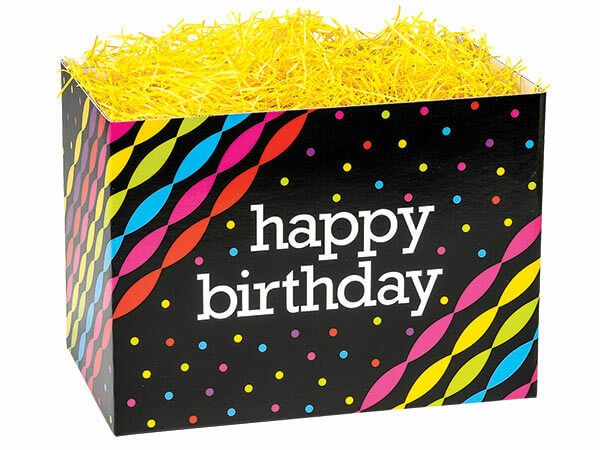 Your Birthday Basket includes 1/2 dozen Fudgy Brownies, 1/2 dozen milk chocolate chunk cookies & 2 Ruths Brownie Zingers all in a special Birthday Box. A birthday gift sure to please! An Assortment of 1/2 dozen each of 4 of our most popular brownies. Includes Ruth's Original Extra Fudgy, Caramel Swirl Extra Fudgy, Classic Cake-Style and Walnut Cake-Style. Neatly packed in 2 of our elegant pink gift boxes. Save $16.81. A $91.80 value (when items bought separately) for only $74.99. 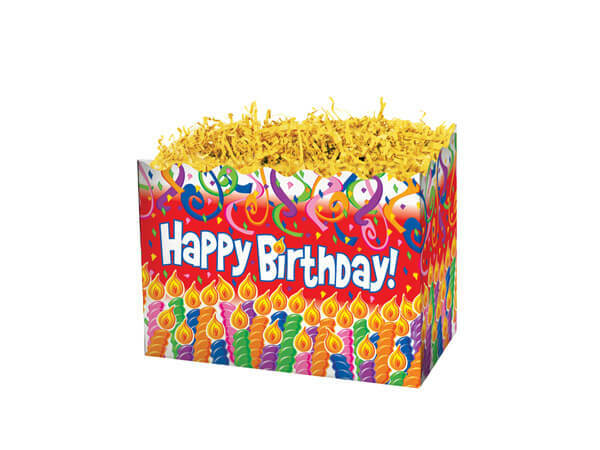 Your Birthday Basket includes 1/2 dozen Cake Style Brownies, 1 dozen Ruth's Classic Biscotti & 2 Ruths Brownie Zingers all in a special Birthday Box. A birthday gift sure to please!